As the tallest players on the field, ruckmen serve many useful purposes and are an essential part of the footy environment, just like trees are in the landscape or gardens. So who are some of the mighty, or at least mighty interesting, ruckmen of our times and what sort of tree might they be? John Schultz wrote the chapter on ‘Dictating from the rucks’ in High Mark 2nd edition (Melbourne: Murray Publishing Company, 1967). Someone who had all these attributes, and added a new one to the ruckman’s repertoire—the long handball—was Geelong’s Graham Farmer. Like most footy connoisseurs I loved Polly Farmer for his humanity, his skill and innovation and his regard for all the players in the game. With his slight limp he had an air of vulnerability, but was an athletic part of the super talented Geelong team of the 1960s. He carried a footy everywhere with him, even on the job as a salesman, bouncing it and tossing it around to get to know its behaviour. Pol was first ruck in the AFL team of the century and if he was a tree, he would be another iconic Indigenous Australian, the River Red Gum Eucalyptus camaldulensis which is found across the mainland and supports many critters in its generous spreading branches. I was in Perth recently and found myself on the Graham Farmer Freeway, properly named, but missing the charm of his nickname, but I was reassured by the locals that there’s also the Polly Tunnel. Another Geelong player, John Noel William Newman, took my fancy in the 1960s. He was the first player to wear the showy white boots, so, with its showy white flowers which produce the much prized honey, he would be the brilliant Leatherwood Eucryphia lucida. In my backpacking days in the Tasmanian wilderness you would smell the flowering Leatherwood before you came across it in a forest clearing. 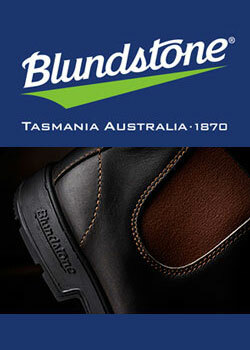 Although Leatherwoods are found only in Tassie, it was connected to Victoria in the days of Gondwanaland. Sam’s antics in the media do nothing for me, but as a player he was a good stick, a terrific ruckman and a solid team man. Looking at the old-timers, Roy Cazaly was only five foot eleven, but was a great ruckman for St Kilda and South Melbourne, and of course that leap and that marking ability stood him apart. Mike Brady’s classic song Up there Cazaly makes me think of the Mountain Ash E. regnans, the tallest tree in Australia, and second only to the Californian redwood. Cazaly was quoted in the Sporting Globe of 5 June 1937 as saying that one of his coaches ‘would take me out in a park and set me running full belt at a tree. Just as I was about to take the tree on the run I had to do a blind turn. … After I had hit those trees once or twice I could turn on a threepenny bit’. Cazaly 2, trees 0. I’m glad I didn’t live in the Jack Dyer era – just seeing the images of Captain Blood is scary enough— but the old timers really rated him as a ruckman. The famous number 17 in Richmond’s team of the century would have to be the Bloodwood E. gummifera, whose insect-resistant hard timber is ultra durable underground and underwater. Collingwood’s Alphonsus Kyne was not over-tall for a ruckman but was a terrific palmer of the ball, as well as a strong shepherder, and was very mobile—sounds like he would be useful in war service, which he was in World War Two—so he evokes the Lone Pine of Gallipoli, one of the Aleppo Pines. Phonse was the second ruckman in Collingwood’s team of the century to Len Thompson, fair enough. Len and another athletic ruckman, Peter Moore, shared three Brownlows between them, so were heroic in their own way, another couple of sturdy pine trees. John Nicholls was named as second ruckman in the AFL team of the century—usually he would be the first person picked in a team – and was a much feared opponent in interstate clashes. Although only six foot two and seeming to take little steps, his bulk made him hard to get round at the contest and he was a fantastic mark. He was also hard as nails like Acacia aneura whose hard timber was used by Indigenous people for their shields or Mulgas. My abiding memory of Big Nick was of him palming the ball down, then throwing his arms out to keep the pack at bay while his rover went on his merry way. Shepherding seems to be a lost art these days. 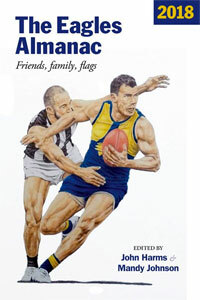 Continuing the strongman vein, Essendon and Sturt’s Wally May, Subiaco and Richmond’s Neil Balme, and Hawthorn’s team of the century ruckman Don Scott, would be those big bad Banksia men in May Gibbs’ tale of Snugglepot and Cuddlepie, of which the State Library of South Australia has some 43 items in its catalogue in different guises. Another in that strongman vein was St Kilda’s Carl Ditterich, who stood out even more being blond, with arms and legs flailing all over the place like the fearsome Whomping Willow at Hogwarts, which was fine as long as you left it alone. Now to three ‘real characters’ of the game, all Peters. Carlton’s exuberant Percy Jones is possibly more remembered for his celebrations after kicking a goal than his capable ruckwork. Perce was named in the Tasmanian team of the century, so a good match for him is the Tasmanian Blue Gum E. globulus which is considered one of the world’s finest trees. There used to be a 27 metre beauty growing in the Hobart Botanical Gardens which had to be removed when it was starting to drop branches. Fortunately science came to the rescue. It was the first hardwood tree to have its genome sequenced and a clone was produced which was planted in the Eucalyptus Lawn. Phew. Peter Patrick Pius Paul Keenan of Melbourne, North Melbourne and Essendon was described by Mike Fitzpatrick as technically a very good ruckman, but one who lost concentration easily. Crackers admitted that most of his antics were bluff, but what an entertainer on and off the field, like the brilliant Flame Tree Brachychiton acerifolius which curiously sometimes flowers only on one side, or can take up to ten years to flower, or may never flower at all! Spider Everitt for St Kilda and Hawthorn was a bit all over the place to begin with, but when he matured was a player to be relied on. Something of a cult figure with his distinctive hair and tattoos, he conjures up the appealing Scribbly Gum E. haemastoma. You’ve got to love their descriptive common names, but to make sure I’m not barking up the wrong botanical tree I have my trusty Shrubs and trees for Australian gardens by Ernest Lord 4th edition (Melbourne: Lothian Publishing Company, 1979) for reference, as well as Ann Prescott’s plant identification guide that brings alive the scrub, It’s blue with five petals (Prospect, SA: Ann Prescott, 1988). North Melbourne’s Mick Nolan was a slab of a bloke, rather unlikely looking for a ruckman on the move, but North’s Barry Cable reckoned he was the best tap ruckman he had roved to. The Galloping Gasometer would be the mighty Boab tree that Indigenous peoples used as shelter, food and medicine. Another honest genial hardworking Kangaroo was Noel Teasdale, who won a Brownlow and was named in North’s team of the century. Teaser then moved with his headgear to Woodville and continued to perform. Footscray, before it became the Western Bulldogs, was over-endowed with brilliant and statesmen-like ruckmen. Brownlow Medallist Gary Dempsey has the highest number of Brownlow votes 246 as shown in the terrific website www.afltables.com and was named as first ruck in the Western Bulldogs team of the century. The estimable Scott Wynd was also a Brownlow medallist and was named as interchange in its team. Luke Darcy was another wonderful servant of the club. They are like a group of the majestic Myrtle Beech Nothofagus cunninghami which is found in Victoria as well as Tasmania’s mountain valleys. Its tiny triangular serrated dark green leaves in fan-like sprays look good all year, but its rich bronze young foliage is strikingly beautiful in Spring. The lion-hearted Barry Round began with Footscray then went on to South Melbourne and captained the team on its relocation to Sydney in 1982, being named in its team of the century. Curiously, lions will climb up into the Sausage Tree Kigelia africana and lie flat out along its branches. Melbourne’s notable ruckmen tug at the heart strings. The much loved Jim Stynes was in Melbourne’s team of the century, and what an amazing player, a Brownlow Medallist with that run of 11 years without missing a game. Coming from Ireland with its mystical qualities he is my Faraway Tree, whose topmost branches reach into the clouds, and at the top is a ladder which is a portal to wonderful lands, as described in Enid Blyton’s delightful series. Classy brothers Denis and Don Cordner were both in Melbourne’s team of the century while Don also won a Brownlow. Another set of classy rucking brothers were an interesting double act – Simon and Justin Madden. Simon was in Essendon’s team of the century and was considered the best ruckman in the country. Justin began with Essendon then moved to Carlton, with great success as a terrific tall ruckman, and who also showed a great sense of humour on the ground. I’m sure the Madden brothers, one a teacher, one a former Minister of Sport, won’t mind their reminding me of the Monty Python sketch with ‘David Attenborough’ doing a voiceover in the wilds of Africa: ‘Here comes the legendary walking tree of Dahomey, Quercus Nicholas Parsonus, resting here for a moment, on its long journey south …. well, I’ve just been told that this is not in fact the legendary walking tree of Dahomey, this is one of Africa’s many stationary trees, Arborus Barnbet Gaseoignus’. Paul Salmon of Essendon and Hawthorn was another player always smiling, and one of the tallest and most graceful ruckman going around. He could be one of Urusula le Guin’s Arhada trees from her Earthsea series, which were tall, long-lived, with brown trunks, and oval leaves with a hint of gold, akin to oak. Graham Moss was a star player and coach for Claremont interspersed with a four season stint at Essendon where he won a Brownlow as its captain. Mossy has the second highest average of Brownlow votes per game 0.95 after Haydn Bunton and Nat Fyfe’s 1.04. Other Western Australian stalwarts were Ryan Turnbull in West Coast’s 1996 team of the decade, and Dean Cox in its 2006 team of the decade, who was a modern mobile ruckman with a record 6,628 hitouts before his retirement at the end of 2014. Western Australia has some fabulous trees, like the Tuarts, and the Tingles that are featured in the Tree Top Walk in the southwest. Look out for other treetop walks such as Queensland’s Lamington Tree Top Walkway, New South Wales Illawarra Fly, Victoria’s Otway Fly and Tasmania’s Tahune Air Walk – they are the best way to get close up to the tree tops of our forest giants. Another sometime Tiger, better known as the Swamp Fox, Mike Patterson excelled as player and coach at North Adelaide where he guided the Roosters to a premiership in 1971 and another in 1972 as well as the title Champions of Australia. 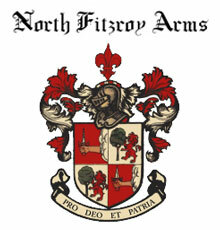 He was named as coach in North’s team of the century and would be that fine looking tree the Swamp Mahogany E. robusta. Some people consider North Adelaide’s Tom Leahy the best ruckman South Australia has ever produced. He won the Magarey Medal playing at Westies, but went to the Roosters with great success and 27 interstate appearances, to be named in North’s team of the century. He had massive hands and would hold the ball in one hand as he ran in to kick, although it is said that he could handpass further than he could kick! Sounds like the Moreton Bay Fig that has huge extremities and can be found in Adelaide’s squares and around the country. Tom was one of nature’s gentlemen and in fact there are a whole bunch of North Adelaide ruckman in that mould, who evoke the same happy feelings that I felt as a kid reading about the trees in the Hundred Acre Wood in AA Milne’s The house at Pooh Corner. At the North Adelaide legends dinner last year the genial farmer Mick Redden stole the show with his whole hearted and guileless memories of playing and training with North. And then there was Bob Bradtke whose glasses would fog up on wintry days, Gary Sporn who is the father of Kieran and Rachael, and the jovial Mike Parsons. Sturt has had a rich fund of ruckmen. Clayton Thompson was six foot six, unusually tall in the 1940s and 50s and was runner-up in the 1959 Magarey Medal to teammate Len Fitzgerald. With a nickname like Candles he has to be the Candlebark Gum E. rubida which my book says is ‘a very handsome tree with smooth white waxy bark which frequently assumes lovely tints of pink, red or plum colour’. Tony Clarkson was something of a pioneer on and off the field. Head of the Renal Unit at the Queen Elizabeth Hospital for many years, he was skinny like the straight limbed and rather medicinal smelling Lemon Scented Gum E. citriodora. Maybe because of his light frame the Doc pioneered the checkside approach at centre bounces, coming in on the same side, which is no longer possible under the current laws. In a couple of Sturt’s premiership years in the 1960s, coach Jack Oatey—ever unorthodox—would bring down Malcolm Hill from the Riverland to play in the final series, and it worked. Mal ran the Berri pub where the Native or Murray Pine Callitris preissii was a very useful tree used by the early settlers for its resistance to white ants and rot. Rick Davies was fun to watch. You felt like you were playing alongside him, so transparent were his reactions to the play – he was good value for money was Rick. Twice larger than life, he is Sturt’s ruckman in its team of the century. The Jumbo Prince was something of a joker so I’m sure he wouldn’t mind being Charlie Brown’s kite-eating tree. The clashes—not so physical—between Doc Clarkson and Bill Wedding were something to cherish. Bill Wedding was a top bloke and a fabulous classical ruckman who was part of the Croweaters famous 1963 victory over the Big V, after which the Victorians called him Golden Wedding. Wearing the red and the blue, Big Bill would be the fabulous red flowering gum E. ficifolia. John Marriott was another gentle strong man, and won the Magarey Medal in 1951 as a 21 year old Norwood tap ruckman, and was named in its team of the century before retiring early to his dentistry practice. He could be the Sweet Quandong Santalum acuminatum which makes lovely jam and delicious Quandong pies that you get from the Quorn or Lyndhurst Bakeries – but not too many to avoid a trip to that dentist. The oily timber of the Quandong was used by the Indigenous peoples to produce fire by friction. Peter Carey played a SANFL record 448 games for Glenelg and was an inaugural member of its hall of fame. Super was a big self effacing bloke who never seemed to move fast, like the historic Old Gum Tree at the Bay that is probably more concrete than wood these days. Peter Carey played for a short time against South Adelaide’s Peter Darley, and the rivalry between the two southern clubs has been celebrated since 1992 in the Carey-Darley Cup. Both were premiership players, team captains, and best and fairest winners. For a big heavy bloke Peter Darley had lots of stamina, although he walked around like he was on his last legs. He was sadly denied a shared Magarey Medal through arguing with an over-officious umpire, but played a key role in winning the 1964 premiership for his blue and white club. He was a sociable restaurateur for a time, and I have him as the South Australian Blue Gum E. leucoxylon, whose fruiting nut has a wineglass shape. Darley is in the first ruck in South Adelaide’s ‘greatest team’ and his ruck partner is David Kantilla, known in his community as Amparralamtua, but known by the rest of us as Soapy, from a photograph showing him lathered in soap in a bath. Soapy was reputedly the first Indigenous Australian to play in the SANFL and was named in its Indigenous team of the century. From Bathurst Island in the Tiwi Islands, he would be one of its Palm Trees. Cummins born Brian Faehse was a stalwart for West Adelaide, and among his many awards he is in the SANFL Hall of Fame. He was known as the Iron Man for his longevity, so he would be the Ironbark E. sideroxylon, but is famous for a bump in the 1954 grand final on Port’s Dave Boyd which was deemed fair by the umpire but which earned the wrath of the crowd. To avoid future clashes between spectators and players, a separate players race was constructed at Adelaide Oval, and Brian Faehse had the honour of being the first player to use the tunnel! I presume this tunnel disappeared in the latest Adelaide Oval redevelopment ready to host its AFL teams. Two whole hearted and shrewd ruckmen were much loved by their supporters. Ruckman in Adelaide’s team of the decade, Shaun Rehn came from the lovely Arno Bay on the West Coast, and Port Power’s Brendon Lade came from the gorgeous Kangaroo Island, so they would be the Norfolk Island Pines that line the esplanades around the state. It’s a good thing no ruckman came from further west than Eyre Peninsula or we would hit the Nullarbor Plain! Of the current crop of AFL ruckmen who are the memorable ones? I am giving North Melbourne’s Todd Goldstein the status of Australia’s floral emblem the Golden Wattle Acacia pycnantha partly because his name is golden but also because he deserves it. He has been such a servant of the Kangaroos, always good hearted and positive. He got 1,000 hit outs in a season in 2015 and a record 80 in one game. Fremantle’s hardworking Aaron Sandilands has to be the Jacaranda whose purple haze is a welcome sight in Adelaide in November lining streets in the eastern suburbs, and from the air they are magical. Carlton’s Matthew Kreuzer is a charmer like the Japanese maples that flourish in cool areas and whose leaves colour up in reds and oranges. The Adelaide Crows’ Sam Jacobs is the Silky Oak, which is the largest of the Grevilleas and whose ferny foliage is always handsome, and then watch out in December for its ‘striking horizontal clusters of fiery orange flowers massed in the branches.’ I have a soft spot for Collingwood’s Brodie Grundy and his topknot, even though he does wear the black-and-white, and so he would be a Blackwood Acacia melanoxylon which is much prized for stunning furniture. Fremantle’s Nic Natanui is so exotic he has to be the Sandalwood Santalum spicatum grown in Western Australia for its fragrant timber which yields sandalwood oil and is exported for incense. The current All Australian ruckman is Max Gawn whose wispy beard and indomitable outlook conjures up Tolkien’s wise Treebeard. I look forward to watching him continue to surprise and delight next year. Curiously Maxy seems to be the only bearded ruckman here, so in my last arboreal analogy, and with the red on his jumper, he will have to double as the Christmas Tree. 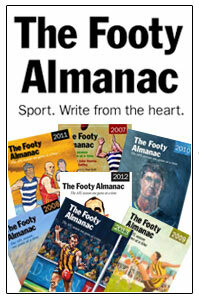 In the festive season, felicitations and thanks to John and Ned for the ongoing gift of The Footy Almanac, and greetings to its community of writers and readers, whose every little comment is a jewelled ornament. So the trees that are all around us have plenty of personality and special effects, just like the ruckmen who work so diligently, but often with a smile on their face, for the good of the team and the enjoyment of the spectators. It’s a fun exercise to think who you would like to have as a ruckman in the team you would want to watch in a tree-lined heaven. It’s a great and interesting read. Your metaphor of trees describing ruckmen is unique and has good points of views. As a new footy fan (having been following the sport only for several years and never attended the game), I have no knowledge of past players in old days. I reckon you enjoy listening to GBU crew (I am not sure it’s still called) segment on Tuesday nights on SEN where Mark Fine and other presenters talk about footy legends, while it’s hard for me to understand what they talk about. Recently St Kilda had a high performance camp in New Zealand and our big ruckman Tom Hickey negotiated a local farmer to stay a night at his farmland. The farmer John is down to earth and happy to have my boys there. In return our boys have done farm works for him including taking trees to down. Then Tom Hickey can be categorised as T?ne Mahuta – the “Lord of the Forest”. He looked after John’s farm and contribute well providing good starts for the mighty Saints. Enjoyed the read Carolyn. Perhaps I’m biased – I work with native veg and love my football. Even managed to squeeze two photos of a Royboy jersey into a weed book I wrote once. And a reference to the Manly Sea Eagles. Been a few plant name revisions since Lord’s book came out in 1979. The ‘Bloodwood’ group of euccies was moved into the Corymbia genus around 15 – 20 years ago. So it’s now Corymbia ficifolia, C. citridora et al. And a couple of years ago a major global revision of Nothofagus occurred and now the Australian ‘Nothofagus’ are in either the Lophozonia or Fuscospora genus. Has upset lots of people – they’re known by the much loved name of ‘Fagus’ in Tassie where I live – but that’s science! Oops! Good stuff Adam. 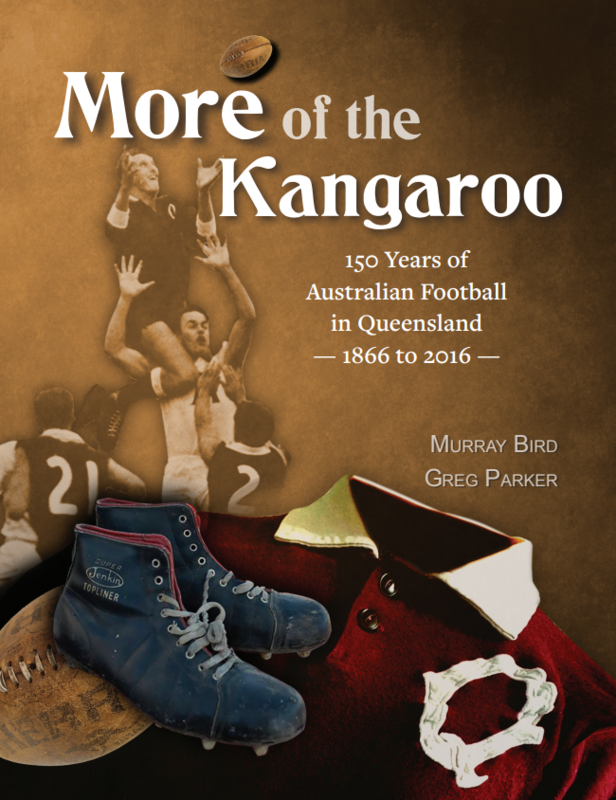 We have your terrific book ‘Bush invaders of South-East Australia’ in our collection, but I couldn’t find the footy references after a quick flick thru. I guess you’re a fan of Jack Irish on the page and on screen. Sure am, Carolyn. Peter Temple is a terrific writer. Peter decided to follow St.Kilda after the Roys demise – you’d think he’d suffered enough. As for the footy references in ‘Bush Invaders’, Manly get a run in the preface while the Roys get a photo at the intro to the section on weed control methods and again with weeds and fire mgt.